No wonder that Maribor's picturesque wine roads, are Milan's favorite route. Spectacular views, natural beauty and tranquility of the Maribor wine region, let alone marvelous tourist farms, are simply irresistible. These wine roads very clearly show what wine-making is all about. A wine-making tradition dating back to the Roman times makes the Maribor and surrounding wine regions among the oldest but they are also some of the least known in the world. These wine roads are a hidden jewel of the Maribor tourism and definitely worth a visit even if you don't like wine. It's all the rest that makes these wine roads so popular. 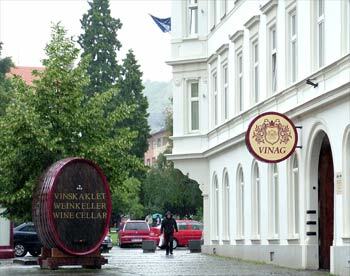 It all starts right in the heart of Maribor with Vinag's mega underground wine cellar. It covers an area of 215,000 square feet, contains 5.5 million liters of wine and is one of the oldest of its kind in Central Europe dating back to 1857. They have a large wine archive with some 250,000 bottles of best vintage so it definitely is worth a visit. TEL: +386-31-535-060 or 031-535-060 (from Slovenian stationary phone), contact person is Mrs Maja Knez. 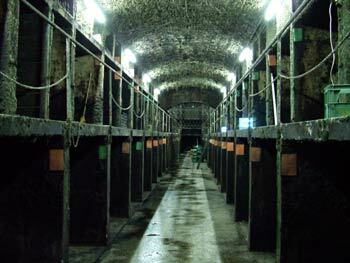 of wine from 1947 are stored in one of those cells. 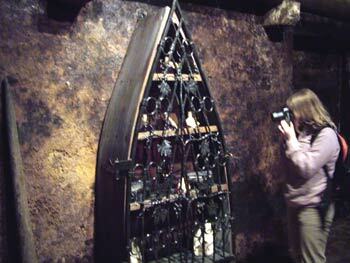 also stored in this cellar. Vineyards are everywhere although they are significantly different from those in France, Italy, USA, Australia, South Africa or Chile. Maribor wine region is very hilly so there are forests on the northern sides of hills while vineyards and orchards occupy other parts. Vineyards are also much smaller than one would expect. The reason is actually soil. 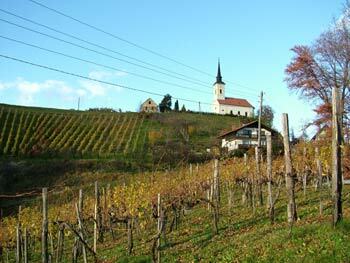 Each wine sort demands different soil conditions and those are very diverse in Slovenia. There are frequently completely different conditions on the other side of the road. 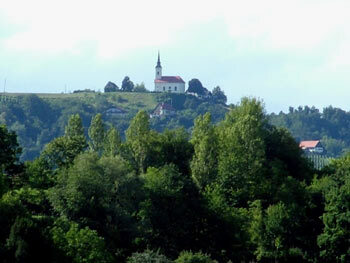 Maribor from the northwestern wine road. 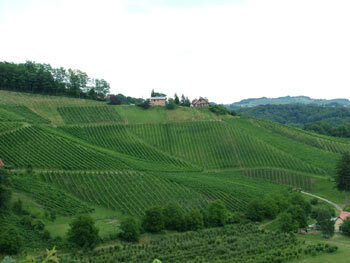 wine region (from the Maribor wine road). There are different wine hot spots around Maribor but the most important is Urban, a hill situated around 5 miles northwest of the city. It hosts several marvelous tourist farms. It is particularly famous for its Christmas midnight mass that draws in thousands of Mariborians with live torches - spectacular. There are several routes to Urban and all have something in common - tourist farms dotted all along the way. That is why Urban is one of the favorite routes for many locals. 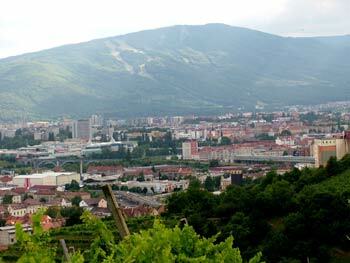 the northeastern Maribor wine region. 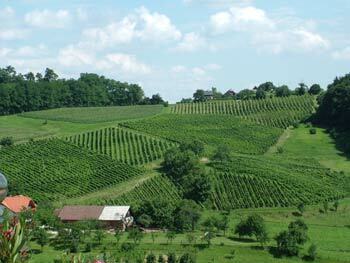 Maribor is literally surrounded by wine roads and vineyards. That is great news for wine and nature lovers like us because it means we don't really need to travel too far to get to the countryside and our grandparents' way of life. Views are spectacular and the countryside is very diverse. A really great impression you get from these wine regions is that wine making here is not all about quantities of wine and money making. People are actually very modest! They produce some of the best white wines in the world yet they are more concerned about the wellbeing of their visitors than quantities of wine they sell. That is so rare nowadays and such a great feeling. As I said, no wonder this is Milan's favorite route!